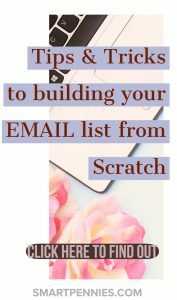 Email list building not as hard as you think this post will help you build your email list the right way. Well for one thing as all these Probloggers keep saying the money is in the list with one small caveat yes the money is in the list but its people who make up your list not just a list of email address and it’s a good point to remember. Don’t fret if you have a small list mine is nearing 70 subscribers and I like to imagine all these people in a room waiting to hear what I have to say it sounds frightening when you put it like that doesn’t it! So no list is small when you imagine them all in a ROOM! The people who signed up for your Opt-in want to either get the freebie or are keen on what you have to say so are much more interested in what you will have to offer them in the future. Anything you earn through your website will depend on traffic to your site. No traffic no monetization guys. So you need to diversify your monetization strategies. 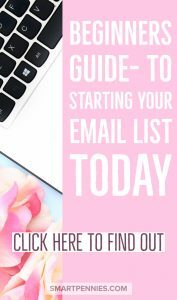 Your email list will beat your blog hands down for Return on investment. According to https://www.crazyegg.com/blog your return on investment ROI for email lists is $40 for every $1 spent. This is a difficult one what does it actually mean? If you look at Pinterest Analytics you can get an audience insight to see who is looking at your profile and this will give you some ideas but obviously, this is just for your Pinterest profile. Look for the problems people have, are the same questions popping up all the time, are people complaining about certain things? Take all this together and see if you can create an Opt-in that will solve just ONE problem. 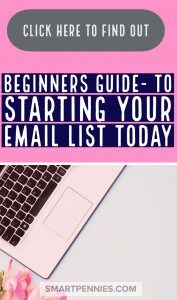 If you use Mailerlite then my blogging buddy Sammy from https://wellandwealthy.org/ has a great beginners course on how to use Mailerlite so check back on her website for details of when its going to be available. Firstly you need to create something to offer your visitors to your blog. And deliver it to them using An Email Service Provider, for instance, I use Mailerlite it allows you to have up to 1000 subscribers for FREE so if you are interested in reading more Mailerlite then check out their services HERE. Yep, you need to create what’s called an Opt-in following my instructions above to find out what your audience wants an answer too. This can be many things but what I would say is don’t make it huge it should be bit sized and offer a solution to ONE problem for your visitors. 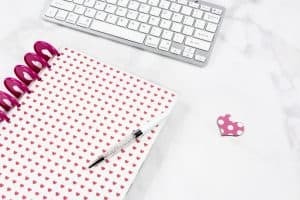 Printables ( love this idea and I have just done a course which is going to be part of the Genius Bloggers Toolkit 2018 for this by from I Heart Planners which I found fabulous and EASY to create using something as simple as Google Sheets which is FREE!). Ready to buy then why not get it as part of the Genius Bloggers Toolkit 2018 interested checkout you get heaps of courses, Ebooks, and memberships for $97 instead of over $6000 individually. ( this link will only be available till the 15th October 2018. When deciding on opt-ins make sure they will be relevant to the types of people you want to have on your list. 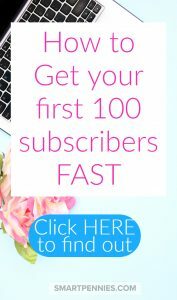 I am not going to add an Optin for this at the moment because I am not collecting Subscribers on my list for Crafts related topics only blogging for Bloggers related topics. 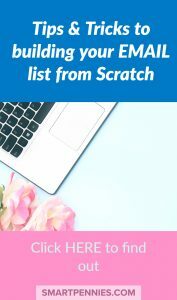 Add opt-in for affiliate marketing cheatsheet. Firstly it should really be above the fold ie. at the top of your website. In plain old english. 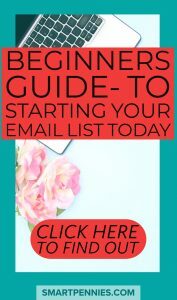 Just have a look at the top bloggers they have their Opt-ins at the top of their websites. Smartpennies.com – where is it guys AT THE TOP. Add more Opt-ins on your Website don’t just have one guy’s people need to see them a few times before they consider opting in! 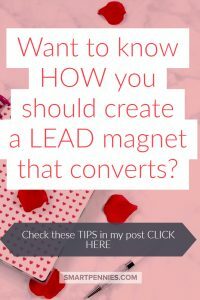 You need eyeballs on these Opt-in before you have a chance to get subscribers so you need to attract TRAFFIC to your website. 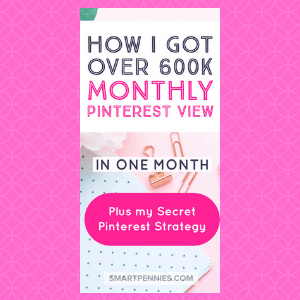 Want to try Pinterest then check out my post on the strategy I used to increase my blog traffic using Pinterest in just one month! Search engine optimization is another biggy to getting traffic – it is definitely for the long haul though! Make sure when you are sending your first emails they are FULL of value for your audience guys. So to give you an example here is my OPT-IN for this POST. Thank You for the informative post. This will help immensely with building my list. Thanks a lot for this informative post! 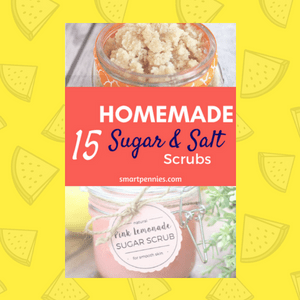 My husband and I are just starting out with blogging, and it’s great to read everyone’s knowledge. 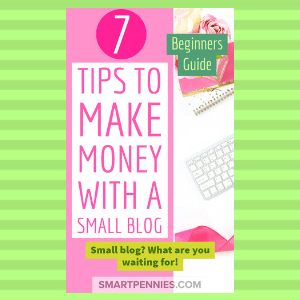 NextShould you stop blogging: Fix your blog when it isn’t making money!